There is nothing like a BBQ on a hot summer's evening. I love catching up with friends and family over some delicious burgers and maybe a little cheeky punch too. BBQs were always something that I have loved but, back when I was vegetarian as a teen, I struggled to find BBQ foods that were delicious and meat free. Thankfully, times have changed and there is a whole host of delicious veggie products on the market. So, I am here today to share my veggie BBQ hacks. 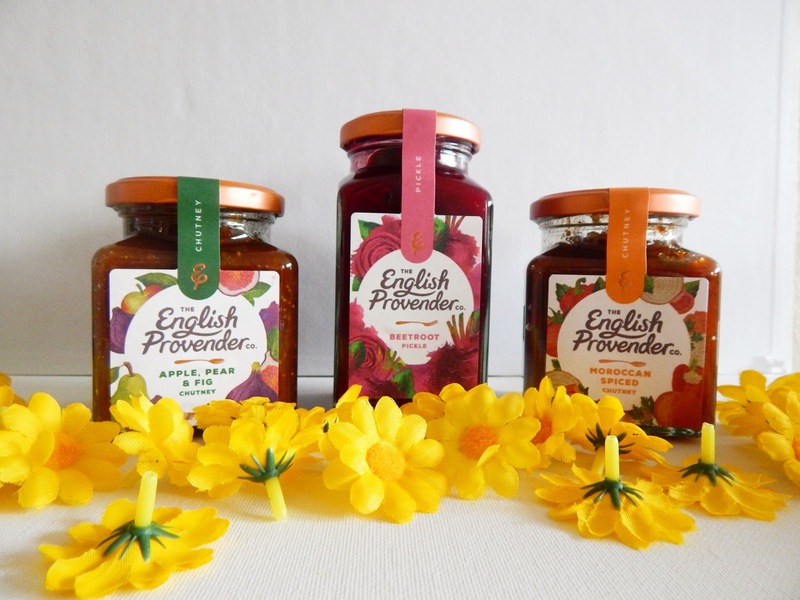 This classic British company make a whole host of pickles and I find that they are great with veggie burgers and sausages. Their chutneys and pickles are vegan and they have so many different flavour combinations. I love their Moroccan Spiced Chutney as it brings a whole different set of flavours to a burger (especially if you've opted for a chickpea patty). 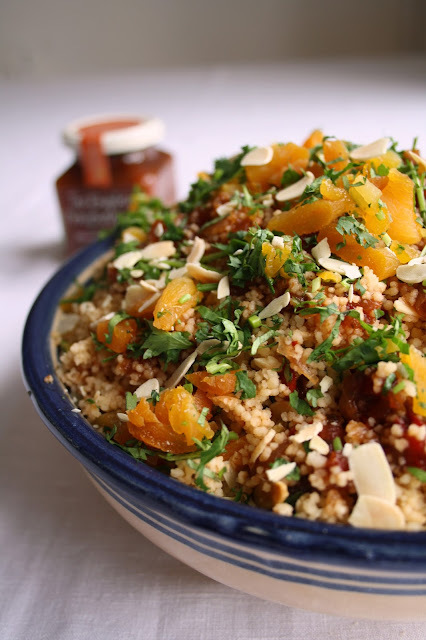 The English Provender Co also have some recipes on their website and I found this cous cous recipe using the Moroccan Spiced Chutney and it looks incredible - the perfect accompaniment to any salad. I am a big fan of veggie sausages - I think I even prefer them to meat sausages. They have more flavour and are often better for you. My absolute favourite veggie sausages are by Cauldron (they also make amazing falafel) and they don't have the high salt content that many veggie sausages do. This is something that my auntie made us when we had a BBQ as a kid and I still remember it. Basically you get a banana and cover it in caramel sauce (you can also opt for honey or chocolate sauce). Then you wrap it in kitchen foil and put it on the BBQ. It ends up having that delicious grilled taste and the caramel seeps into the banana - yum! As a kid, I always thought that salad was just filler that people always made for BBQs but no one really liked. Boy, have I changed my tune! I love a good salad now. Salad is so versatile and has so much potential for deliciousness. My favourite salad as a fattoush salad (it has little squares of fried pitta bread on it mixed with pomegranate seeds, mint, and sumac) but a salad with cubes of watermelon is perfect for the summer too. Is it even summer without a big bowl of punch? I love Pimms in the summer especially with strawberries and cucumber in it. But also mixing some Malibu with a load of fruit juices works just as well. And for those who aren't so into alcohol, mix some lemonade with juices and pop in a variety of fruits for the same affect minus the headache the next morning. What makes a great BBQ for you?